Photo of the 3 idiots posing for the camera, loafing about when they should be working, what more using that time to catch birds. Guy on the far left airing his belly. As that's how he gets nutrients, moisture, and air. By osmosis. "This three guys happen to have a field day this afternoon. They caught the hornbill by the head and tied it legs. I requested to release and afraid to come close to them. They went away after that." Hornbills, being wild birds, were not meant to be kept. They can't be kept in captivity. It would be impossible otherwise action would be taken to breed them and increase the population. Why would you want to catch a hornbill? 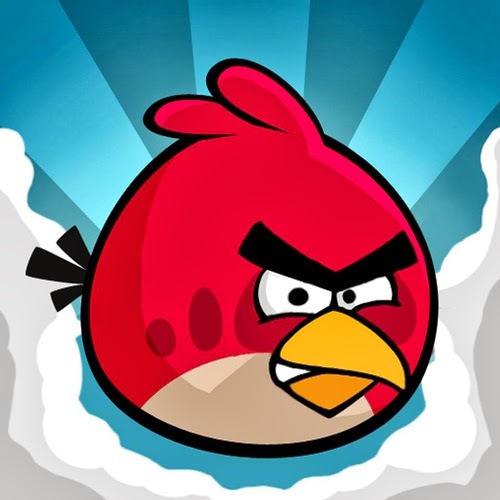 What's the matter, Angry Birds not entertaining enough?? Members of the public have informed the police that day, and recent news has it that the suspects have been caught yesterday evening. 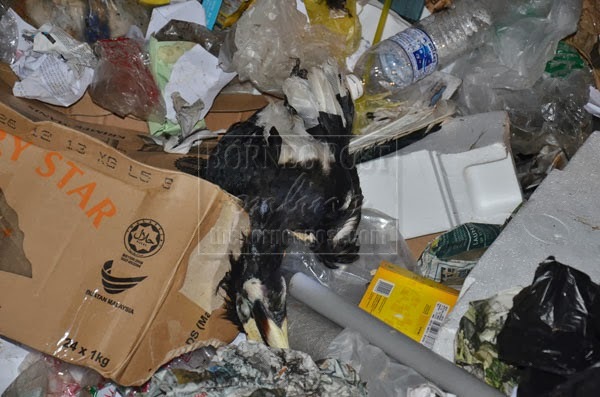 The suspected thieves confessed that the hornbill, affectionately known as "Faridah" had died on the day they caught it, and they led the police to recover the carcass of the bird from the rubbish bin at Jalan Datuk Edward Jeli in Piasau. Hornbills have lifelong mates. Because Faridah has a mate known - as "Jimmy", Jimmy has since been missing since she was captured. Apparently the pair of hornbills played a big role in maintaining the population of the birds in the park - those two having produced about 56 offspring. 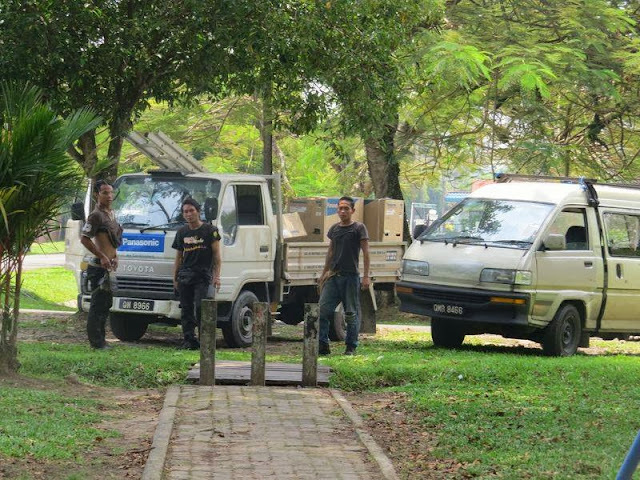 Hornbills are totally protected under Ordinance and the penalties for keeping one as a pet, killing, hunting, capturing, selling, trading or disturbing them, or possessing any recognisable parts of these birds are severe – a RM25,000 fine and three years’ imprisonment. If there is one good out of this, is that this tragic news had had stirred up quite the interest on the hornbills and birds in Piasau Garden - raising the much needed awareness to the need to protect the state’s wildlife. 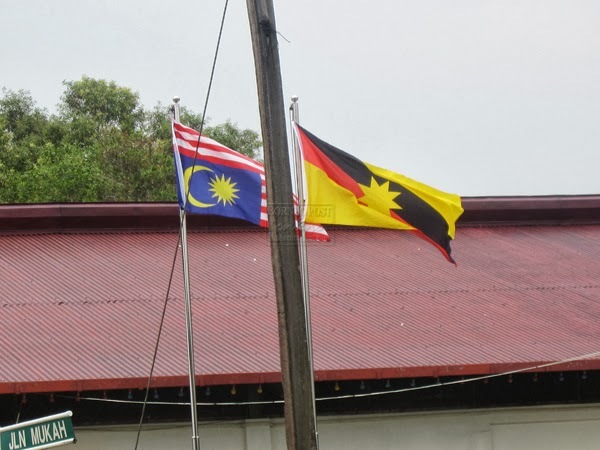 An upside down flag has been seen flying outside a government building along Jalan Mukah. According to someone recorded as speaking in the newspaper, that is "tantamount to disrespecting the symbol of the sovereignty of Malaysia". According to the Glossary of vexillology in Wikipedia, flying a flag upside down is a sign of distress. What distress, I'm letting you figure it out. Anywhoo, here's a picture, courtesy at our all time favorite news source, Borneo Post. Taking a cue from a recent comment by the deputy minister's comments about the petrol prices (that "they didn't raise the prices, merely reduced the subsidy"), then surely this flag isn't upside down, it is merely angled at 180°. Having been rained on by Mother Nature, this 16th September "Malaysia Day" event is being hailed as the "biggest and most happening event" in Miri. Probably because there isn't much else bigger or happening in Miri at the same time. Well aside from the jams caused. The event, which is essentially one big concert on a well-used main street, caused traffic jams and inconveniences to those that live or work in the area. And one of those inconvenienced is yours truly. Let's face it. If you're going to hold a concert in the middle of a highly used main road next to a housing estate and closing off that road instead of... I don't know, maybe, you know.. using the INDOOR STADIUM that has PLENTY OF PARKING instead of letting people PARK THEIR CARS IN FRONT OF RANDOM HOUSES BLOCKING ACCESS, yeah I figured not many would be too thrilled. THE STADIUM IS RIGHT THERE. USE IT. IT HAS PARKING SPACES AND SOUND SYSTEMS AND SEATS. USE IT. IT HAS A ROOF TO PREVENT RAIN FROM COMING IN. USE IT. IT HAS TOILETS INSTEAD OF BUSHES AND TREES AND DRAINS. USE IT. 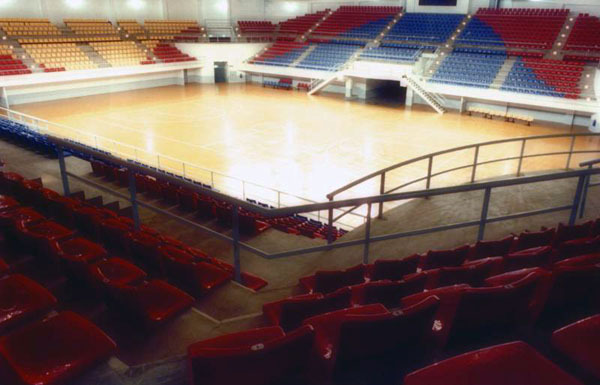 IT ALSO HAS BEEN DESIGNED FOR EXACTLY THESE KINDS OF PURPOSES. 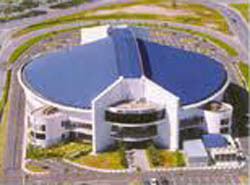 The Miri Stadium looks like a blurry Robotic Blue & White Tortoise, so it must be awesome to use, right? So enough with the complaints. Because I don't really need to. Just go out and ask someone, they'll say more things than the Internet space can contain. So this concert consists of performances by bands and DJs that are not Malaysian. Ah, well that last one was at least, from Malaysia. Scoring 1/3 isn't so bad I guess. It's an acceptable standard in these parts. In Malaysia, one-third is a pass with flying colors.